As chaos reigned in the Toronto and Vancouver housing markets over the past several months, Montreal's remained largely unaffected. But those days may be coming to an end for Canada's second-largest city. This past May was the highest ever for home sales in Montreal. The 5,057 residential transactions marked a 15 per cent jump from last year's figure, and much of that growth is thought to be driven by a hot condo market. In addition to the volume of sales increasing, the price per sale rose significantly as well. This year's median price of $319,000 for a single family home was six per cent greater than what it was in May 2016. The reason for the price spike may be the consequence of a decrease in listings. In Q1 of 2016 there were 17,383 houses up for sale, a number that dropped to 14,331 for 2017. It has become a seller's market and buyers could be in a tough spot if that trend continues. They will be in an even tougher spot, however, if there is any substance to the growing concern that Montreal could be the next feasting ground for foreign buyers. The presence of foreign buyers in Vancouver, and to a lesser extent, Toronto, prompted officials in both of their respective provinces to pass regulations that made it less financially advantageous for foreign buyers to purchase property. "As I understand it, non-resident buyers have been a growing factor in Montreal for some time," said Bank of Montreal's chief economist Doug Porter. "It hasn't been obvious since the inflows are not as significant as in Vancouver or Toronto, and the underlying market simply isn't nearly as tight as in those other two cities." 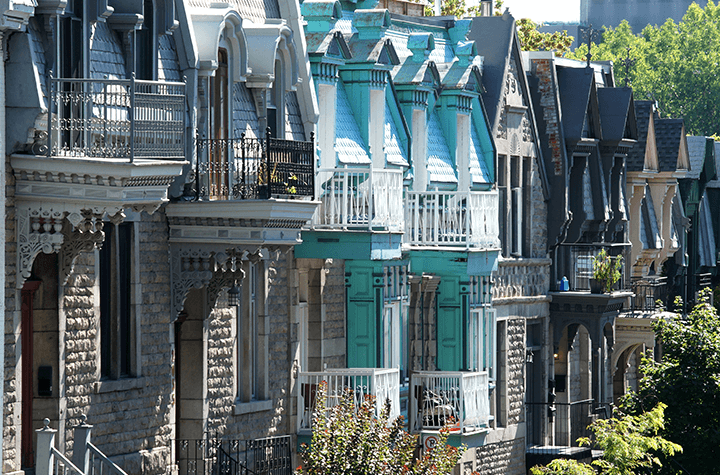 Montreal remains one of the most affordable cities for housing in Canada, but it will be interesting to watch how these factors affect home pricing in the city going forward.